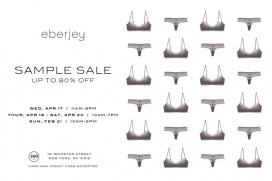 Enjoy up to 80% savings when you shop for womenswear, swimwear, and lingerie at the Eberjey Sample Sale. 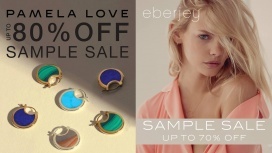 Shop for jewelry pieces at up to 80% off and lingerie at up to 70% off at the Pamela Love and Eberjey Sample Sale. Maiyet and Eberjay both specialize in women's apparel. 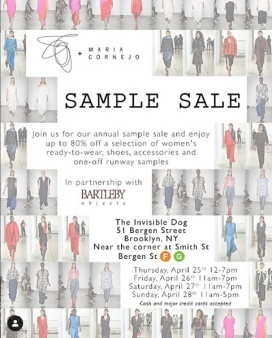 The Sample Sale features up to 80% off on Maiyet and Eberjey products. Sample Sale features stylish resorts outfits and swimwear for only $29 to $99 each. 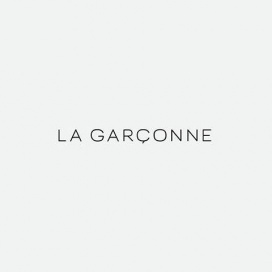 Included on sale are items from Eberjey, JETS, L'Space, PilyQ, Seafolly, Vitamin A, and ViX.